When it comes to your bike, you want to protect it and what better is there than Mongoose ? The MCA500 is more than just a security system as it offers convenience features that make the use of your motorcycle more enjoyable. 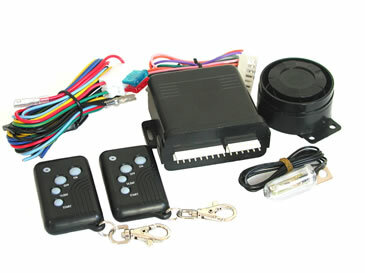 2 waterproof 4 button remotes • Small compact waterproof alarm module • Separate siren • Built-in shock sensor - adjusted by remote • Built-in engine immobilisation • Light flash - confirmation and during alarm condition • Triggers from ignition, shock sensor, seat switch or optional tilt switch • Automatic re-arm • Remote key lockout (prevents someone using your remote) • Silent arm/disarm by remote.